December FaveCrafts Radio: Yarn Talk! If there’s one thing we’ve noticed about you, our readers, is that many, many of you love yarn! Whether it’s to crochet with, to knit with, or just to craft with, you guys love it! So we just wanted to let everyone know that we’re paying attention and to keep you all happy we’re bringing you an all yarn episode of FaveCrafts Radio in December! This month we’ll sit down and chat with Michael Sellick from The Crochet Crowd, Vickie Howell, Drew Emborsky aka The Crochet Dude about all their best yarn tips! So if you love to knit or crochet, you’ll definitely want to tune in on Tuesday December 11th at 11am EST to hear these three chat it up about their techniques, tips, and frustration solutions. But remember, just like every episode of FaveCrafts Radio, you can call in with your own questions to ask our craftlebrities! 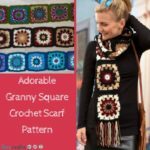 Have you been working on pattern that won’t stay flat? Have you been struggling with decreasing or increasing? Beginner or advanced, call at any point during our show and ask any yarn related questions that have been on your mind! Put it in your calendars because this is going to be one fun show! 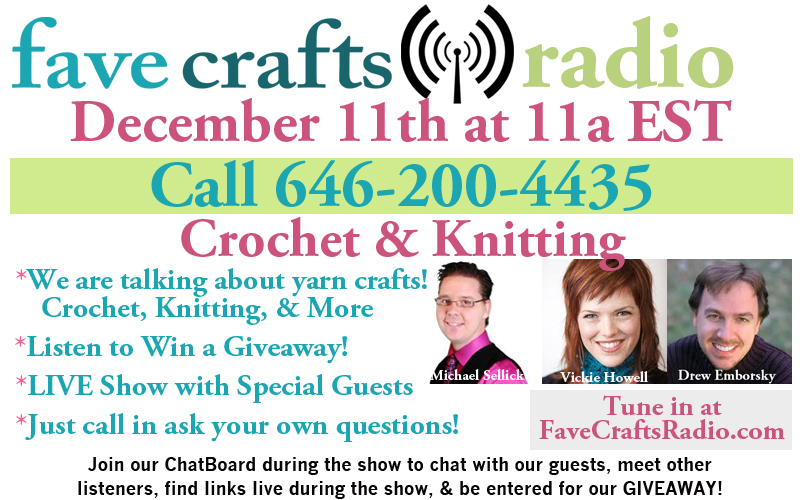 Remember just dial 646-200-4435 on December 11th from 11am to 12pm EST to have a chat with our yarn experts. 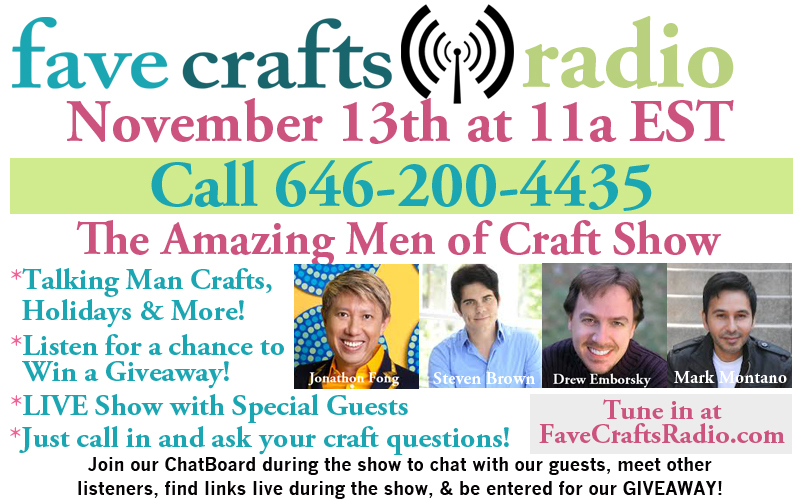 November FaveCrafts Radio: The Amazing Men of Craft! It seem like we just had a radio show doesn’t it? Well time flies when you’re having fun and soon it’ll be time for a brand new episode of FaveCrafts Radio! And this one just might be our best one yet! Why you ask? Well because this month we’re talking to The Amazing Men of Craft! Are you excited yet? How often do you get to sit down and chat about crafting with the boys? This month’s episode will focus on holiday crafting because as much as you think you still have plenty of time until Christmas, it’ll be here faster than you can blink! We’ll sit down and chat with Jonathon Fong of Style with a Smile, Steven Brown of Glitterville, Drew Emborsky aka The Crochet Dude, and Mark Montano about Thanksgiving table settings, Christmas decorating, and party ideas! You’ll also get call in and ask them your own questions! These crafty men have loads to share with us! 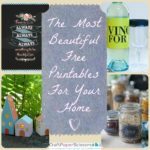 Not only will they be sharing their crafty knowledge with all of us and catching us up on what they’ve been up to, but all of the guests have craft books and products out so you can expect lots of giveaways! This is definitely one show you won’t want to miss. So join us on November 13th at 11am EST to hear all the great ideas we come up with! Oh, don’t forget, you can call in and ask your own questions too! Just dial 646-200-4435 during the show and ask our guests anything that comes to mind! Have you already started crafting for the holidays? And we’ve wrapped up another fun edition of FaveCrafts radio! This time we talked about crafting with kids and came up with some great ideas! If you missed it, you can listen to the archived edition right below! If you read the wrap up you knew we were running a little contest after the show aired for a copy of Marisa’s book, Crazy-Cool Duct Tape Projects. Well the contest is up and we picked a winner! Drum roll please….. 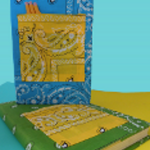 The winner of an advance copy of Crazy-Cool Duct Tape Projects is…..
Virginia Tippen who said “Without a book/pattern to go by, grandsons and I made bookmarks for thier library book. So with a book/pattern to go by we would try them all.” Well you’ll get your chance Virginia! Thanks to everyone who listened and participated and we look forward to having you join us for next month’s edition of FaveCrafts Radio on November 13th at 11 am EST! 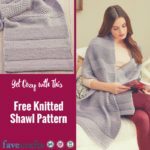 FaveCrafts October Radio Wrap Up! Talking about kids crafts is nothing but fun always right? Well it was especially fun chatting with three kids crafting experts and getting new ideas for what to do with your kids was even more fun! Candie’s favorite crafts to make with kids: Decoupaging and metal working if you’ve got a big group of boys that you want to keep busy! Sound scary to you? Candie gives some great tips on getting your 3rd graders crafting with metal and holding on to all their limbs. Candie’s suggestions for holiday crafts with kids: Wreaths! There’s a lot of versatility with wreath making. 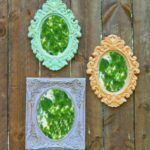 How to modify adult craft ideas for children: Letting kids take the reigns on some projects and let their imaginations run free. Kid crafting tips: Stay organized and keep supplies limited, otherwise crafty chaos can take over really quickly. Candie has a show called Hands on Crafts for Kids that airs on PBS! Check it out for even more educational kids crafts ideas. She’s also got a new jewelry making book out called Necklaceology. 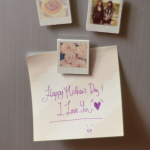 Marisa’s favorite craft products to use with kids: Velcro and Styrofoam forms. Best ways to keep clean with kids crafting: Save cardboard boxes to use as work surfaces or stick to things that are less messy like the Styrofoam forms. Also a kid safe scissor like the Scissor Mouse is absolutely essential. Why crafting with kids is fun: They are full of imagination and invent fun new things. Marisa is coming out with a brand new book next month all about duct tape crafts! Look for Crazy-Cool Duct Tape Projects to preorder your copy today! How to craft on a budget: Be very careful with the materials that you pick out and make use of all the great supplies you can find in the Dollar Store. Favorite kids craft ideas: Let the kids run wild with their imagination by just putting supplies out on a table. Where to start crafting with kids: Number 1 tip? Ask them. Talk to them about what they want to do. They will come up with the most entertaining projects themselves. Breanna works on Dollar Store Mom and tries to be the best mom she can be on a budget – don’t we all? 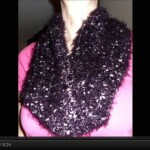 Check out her site for fun crafting ideas for kids that don’t break the bank. If you want more ideas, check out our friends at AllFreeKidsCrafts.com for tutorials and inspiration! 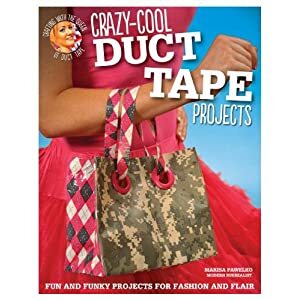 To enter to win the advanced copy of Marisa’s book, Crazy-Cool Duct Tape Projects, just tell us what you would make out of duct tape in the comments below! Contest closes October 14, 2012 at 11:59p CST. Please tell us what you would make with Duct Tape in the comments in order to be entered. When’s the next show you ask? November 13th at 11 am EST. See you there! October FaveCrafts Radio: Let’s Talk Kids Crafts! Need ideas for keeping your kids busy when winter break comes up? Still need help deciding what costume you’re making for your kids this year? If you answered yes to both of these then you should join us Tuesday the 9th at 11 am EST on FaveCrafts Radio where we’ll be talking kid’s crafts for an hour with some very special guests! We’ve called in our crew of kids crafting experts to sit down and chat with us all about crafts that your kids will love to make with you! We’re also going to ask them for adorable Halloween costume ideas for kids in case you haven’t pinned down what the kiddos are going to be this year. And everyone knows that a handmade costume out does store-bought any day ;). 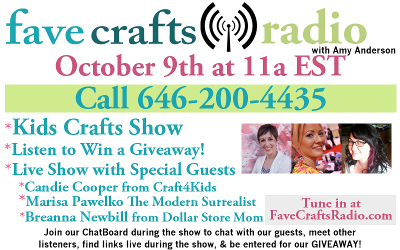 We’ll be chatting with Candie Cooper from Craft4Kids, Marisa Pawelko – The Modern Surrealist, and Breanna Newbill from Dollar Store Mom! These lovely ladies will be weighing in their expertise to give us some great ideas on kids crafts to keep little hands busy when they’re not in school or on weekends. Besides, don’t you always need fun ideas for activities you can do with your kids or grandkids? So join us on October 9th at 11am EST to hear all the great ideas we come up with! Oh, I forgot to mention, you can call in and ask your own questions too! Just dial 646-200-4435 during the show and ask our guests anything that comes to mind! In the meantime, you can browse for ideas from our friends at AllFreeKidsCrafts.com! Do we ever let you down with giveaways? I thought not. We’re not only doing a giveaway wrap up after the show, but we’re also giving away a prize pack of $60 worth of craft books from Fox Chapel Publishing to one lucky listener! So be sure to listen in and sign into the chat feature beneath the radio show to be entered into the giveaway! What’s your favorite craft to do with your kids? FaveCrafts Radio – September Recap! Happy September! 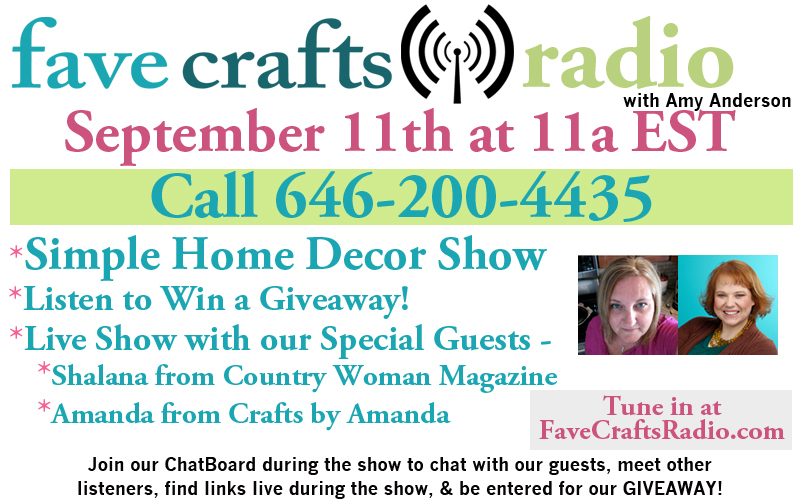 We just finished up talking with some wonderful crafty ladies about home decorating and easy DIY home decor crafts. I walked away with some great ideas for my own apartment, if you didn’t listen in you should listen to the recap and walk away with some ideas of your own. If you couldn’t listen in this month, make sure you tune in to the archives! This month we chatted with Amanda Formaro and Shalana Frisby who gave us some really amazing tips for decorating your living space. Especially since both Shalana and our Host Amy Anderson had just moved into new spaces that needed lots of decorating. The easiest ways to spruce up your home is through making your own wall art and pillows! You can buy wood cheaply from Home Depot or pick up things from thrift stores and flea markets to put up on the walls. Pillows are so easy to make and change up too and they give any room a brand new feel without too much cost or work. What great and simple ideas! Shalana loves to go room by room when decorating her home! What a cute idea! Each space can be it’s own separate getaway. She also loves up-cycling. Reusing items that you already have in the house is a great way to give something a fresh feeling without breaking the bank. So we wanted to know about DIY home decor on a budget. The answer? Thrifting of course! Amanda told us that some fun pieces picked up from the thrift store and a can of spray paint can create a perfectly fun and kitschy wall statement. Amanda is a big lover of wall art, and let me tell you, she’s got me convinced too! Recycling and re-purposing is the best and cheapest way to decorate your home. Amy told us that she never finds anything good at the thrift store. Amanda’s advice is to visit them more frequently because they get donations all the time and stuff rotates out, so you’ll always be able to find something new. Think of times when people are doing a lot of cleaning and donating – spring and fall. We had a fun reader question from Jessica from Mad In Crafts. She asked “How difficult is it to hand those heavy signs on the wall?” Some suggestions we got were saw tooth hangers, picture hanging kits, and wire hanging kits. Of course we got on the topic of IKEA because, you know, IKEA is awesome when it comes to cheap, ready-made home decor. We started chatting about IKEA Hackers, which is another fun blog with ideas for how you can make your furniture items your own for cheap! And really, who doesn’t like cheap? Necessary tools for the home decor fan? Spray paint and a really good glue. And I have to agree. We chatted with Amanda about styles and trends. Guess what’s in? Mocha and coffee colors. How perfect for fall! But Amanda made a good point, if you were following the colors trends every year, you’d be changing your walls all the time! A better idea? Try finding some old vases and using glass paint to change up the colors or making some new colored throw pillows. Accent pieces are the perfect thing you need for changing an entire room without having to paint the walls. Shalana was our color expert and told us about using shades of grey for more modern looking home decor. If you’re thinking ahead because you’re decorating now, the Spring 2013 color trends are pastels and brights! That’s only some of what we chatted about. We also talked about wallpaper, using wallpaper as wall part, supplies for getting your home decor crafting inspirations started, and decorating with kids in the home! To enter to win the prize pack you’ll have to listen to the September edition of the radio show to get the “secret question” to answer in the comments section. It’s that easy! 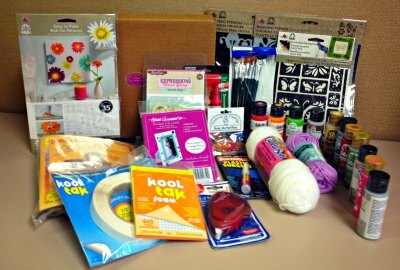 How can you not want an awesome sampler prize pack from Mod Podge? 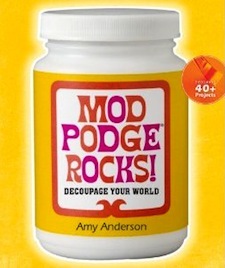 The prize includes our host Amy’s new book all about Mod Podge along with a huge sampler set. You know you want it! As our editorial director claims “The book is awesome!” and she’s right! Contest closes September 15, 2012 at 11:59p CST. When’s the next show you ask? October 9th at 11 am EST. See you there! August FaveCrafts Radio Wrap Up! Today was the day! Did you miss it? No worries, you can still listen to our super fun Craft wars edition of FaveCrafts Radio in the archives. We talked to Craft Wars vets Lisa Fulmer, Andrea Currie, Margot Potter, and Angela Daniels! Andrea Currie and Lisa Fulmer won their episode of Craft Wars, Margot Potter is best known for her amazing jewelry projects, and Angela Daniels‘ episode aired tonight after the show! Below are just some of the questions we covered in the show with paraphrased answers. If you want to know the full answers, you’ll have to tune in and listen to the archive! First question: What’s your favorite part of the show? – Having a team of little clean up elves. Margot you seem to keep your cool, did you get scared or nervous? – The camera part doesn’t scare me because I was on live tv for years, but it is nerve racking to work in such a restricted schedule. But it was fun, I’d do it again in a heart beat! Tell us about the audition process. -When you do beautiful things take beautiful pictures of it! Having a little bit of bubble in your personality helps as well. You have to learn how to sell yourself a little bit. 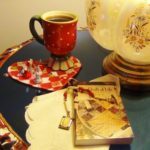 Twitter question: I’m a huge fan of Angela Daniels (the Guilty Crafter). Did it feel less guilty being around other crafters? -No, it didn’t! I maybe even felt more guilty. I was totally guilt-ridden the whole time. Lisa, was there a lot of pressure being the assistant? – It was totally an honor. The pressure was there because I really wanted to help Andrea shine. It was certainly exciting. It was just the best roller-coaster ride ever! Margot, when Tori was coming up to you and asking questions, was it hard to focus? – It was awkward! I was so distracted by so many things I had to focus on that I barely noticed she had been standing there. It was very weird have to stop in the middle of what you’re doing and have a conversation like that. Do you think you have to be established in the craft industry to make it on the show? – No, I don’t think so. You just have to show you have some crafty chops. I think the key is to be bigger than you actually are, so be a little over the top. Be you, just be you magnified. How are you feeling about your show tonight Angela? – I am so nervous! A bunch of my friends and I are getting together and watching it on a big screen and I’m humiliated already! A lot of them have never seen what I can do and the first experience they’re getting is me crafting in a panicked state. Angela, is it hard to take such criticism from the judges? – I tend to be pretty critical of my own self, so there’s rarely anything that anyone can say to me that I haven’t already told myself. It was a little cringe-worthy, but I knew what was going to happen when I went up there to get judged. Andrea, tell us a little bit about the process of coming up with your idea on the fly. – I think a lot of the crafters drew on things we’ve made in the past. I’m also really inspired by Anthropologie so I knew I was going to draw inspiration from that. Watching the shows, is there any episode that you thought you would have done great in? – I know there were episodes that I was glad I wasn’t on! Although I think I would have done well on the Pet Shop episode. Margot, you ended up designing a Christmas tree. 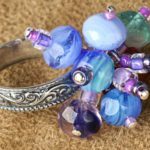 Where do you go with it when you realize that somewhere in the challenge you start doing something that another crafter is also doing? – Well I think it’s all about the journey, so in the end those two trees could not have been more different. Angela, how did you decide what to wear? – Oh my gosh, I sweated over this! Patty and I spent endless phone calls and text messages giving and getting opinions. I thought about wearing cute vintage prom dresses, but I am super craft accident prone that we decided to go with something super plain. Andrea and Lisa, is there an unlimited supply of craft challenge materials? – It is NOT unlimited supply. You have to go and grab what you see and what you think is going to be the best for your project. It was a lot of pressure to find what you thought was cute and make sure you had enough of them because the other contests would grab them up too. – There were times I was looking for felt or paper, but there was no more! Andrea, what was it like having the helpers? – They were great! You did have to have some strong leadership abilities to tell them what they needed to do, but they were very helpful. What was unfortunate was that Lisa wasn’t really allowed to tell them what to do, which was unfortunate because she’s got such good leadership skills. Margot, if you HAD to pick another contestant that was on the show, who and why? – Ooo I definitely would have to pick Angela Daniels because I think we’d rock the house! Angela, did the Craft Wars vets get an in depth tour of the Micheal’s closet ahead of time? – No. When the time starts, the time starts. I actually kept finding things in the closet and thinking “Oh I could really use that!” I actually did go into my local Micheal’s ahead of time. Andrea and Lisa, how are you going to spend the money? – Well I’m splitting it with Lisa and using it to help grow my business, because you know it’s expensive to start a business. Does it feel funny or awkward to have the judges and cameras watching you the whole time? – We were so tunnel vision that I didn’t even realize that they were sitting there watching us the whole time. It was awkward when you finally came up for air and realized they were there. Margot, I know there are some people that are hating on Craft Wars. – I see we need crafting back on TV so if this is not your flavor of crafty ice cream, it will open the doors for lots of other flavors of crafty ice cream. Want to know what Angela Daniels said about her episode that airs tonight? You’ll just have to listen in. We had so much fun talking to all the Craft Wars vets and getting to know the show a little better. Thank you to all our lovely guests! We pulled together a real Craft Wars style prize from our “prize vault” for our loyal listeners! It’s a great mix of craft supplies that you can use to make anything you’d like. We’d love to see the challenge you put yourself to and what you can come up with in this prize box – craft wars style! Entering could not be easier. Just give us a comment below with the super secret word given in the radio show. Contest closes August 19, 2012 at 11:59p CST. Thanks all! Hope to see you next month, September 11th, for another great show! 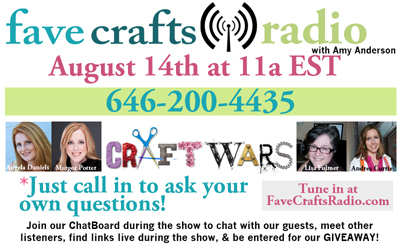 August FaveCrafts Radio: The Craft Wars Edition! If you love crafting and craft shows, you’ve probably already hard of the new Tori Spelling hosted show Craft Wars. Well we have a special treat for fans on this month’s edition of FaveCrafts Radio. Our guests this month will include Craft Wars alumns! We’ll be talking to Craft Wars vets Lisa Fulmer, Andrea Currie, Margot Potter, and Angela Daniels! Angela’s episode airs the same day as our broadcast so you’ll be able to get the inside scoop before anyone else! Hear them talk about their experiences on the show, the pressures of crafting with limited materials and time, and how life has been for them after the show. The best part? You can call in and ask all your Craft Wars questions live! You read that right! We’re having another live caller show. 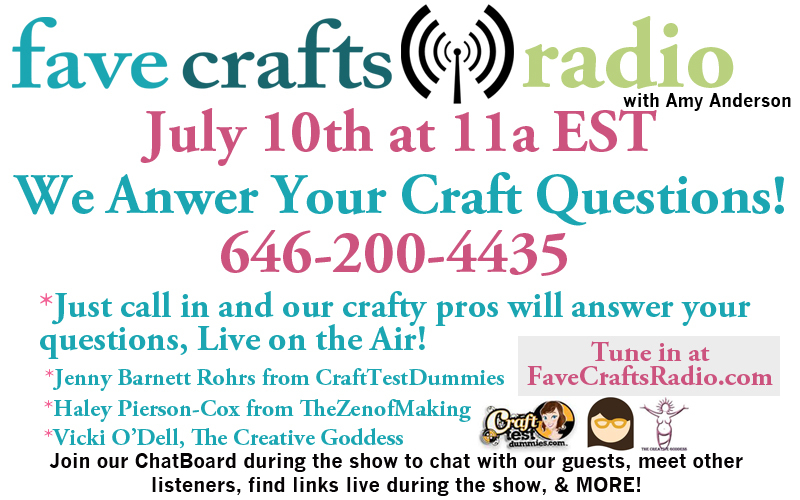 Just tune in on August 14th at 11am EST and call 646-200-4435 to have your questions answered live by our Craft Wars stars! Even if you don’t watch Craft Wars it’s a great chance to ask some crafty celebrities how they do all they do. And if you are a fan, you can ask about all the details of the episodes and how hard it was working under that tremendous amount of pressure. We also already have interviews up from Margot Potter and Lisa Fulmer and Andrea Currie! Have you watched Craft Wars yet? What do you think of the show?